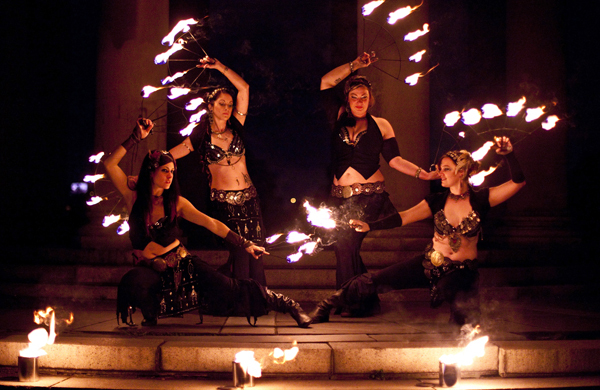 October is The Best month for fire performance. The weather is chill but not too cold, the humidity is usually down and everyone is starting to get festive. Halloween is coming! Winter holidays soon to follow! We start to really ramp up our Krampuslauf planning for December, but that doesn’t mean we stop enjoying the here and now. This past weekend we had a packed back-to-back schedule at two very different events. The Piazza in Northern Liberties holds a special place for us. It is one of the venues that our ladies first performed together, and it is right down the street from our ‘home base’ of Liberty Lands park. So we were really excited to re-visit the venue and bring along some of our fantastic new members. The evening was great and we can’t wait to be back! The next night was a bit of a road trip out to Bethlehem to join our fellow fire spinners of the Burning Hearts for an Oktoberfest celebration. There was even some German/Hungarian dancing to warm up the crowd! Check out some pictures below, taken by some of our family members (in Bethlehem) and Chris Koontz (at the Piazza). The new-ish Fringe Arts space by the Race St. pier is beautiful. We’ve been eying their great outdoor space and somewhat industrial setting for a while, waiting for the right opportunity to partner with Fringe Arts to bring some fire to the venue. A few weeks ago we finally got our chance! We were honored to perform at the Audi FEASTival, along with some true Philly greats like Brian Sander’s Junk, Almanac Dance Circus Theatre and Circadium, among others. The event was a ton of fun (and ushered in some great cool autumnal weather!) and extremely well attended. There were so many photographers at the event, but we really love the images that were captured by Iluminada Photography. They gave us permission to share them here- but if you’re in the market for some event photography (or wedding photography) go check them out! We had a great time performing once again with the Russian Roulette Variety show at PEX Summer Fest 2017. Check out our performance below! Not only does the amazing Tim Merz keep us safe, he also manages to snag a few shots of us getting dirty and sweaty while doing it. Thanks Tim! We’re hard at work on our piece for this year’s Russian Roulette Variety show at Pex Summer Fest, and hope to bring it to audiences outside of PEX this year too! 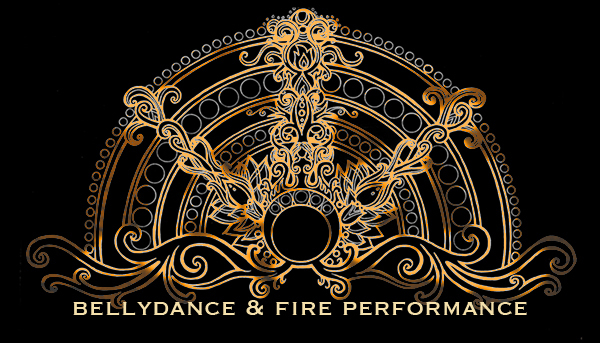 We’re working on that part- if anyone is looking for a great fire finale to an outside show, let us know!